The team is the brainchild of Djibril Bakala Camara, a Guinean migrant living in Turkey since 2016. Camara said they applied to local authorities to be classified as “an association,” a requirement for football clubs, one month ago. Until then, the team polished its skills in friendlies with other amateur clubs in Istanbul. Though their official number is not known, as some stay as irregular immigrants, migrants from the African countries are estimated to make up the majority of the city’s migrant population, along with Syrians. Statistics show one in four African migrants prefer Istanbul for accommodation and Muslims from North African and sub-Saharan African countries, including Senegal, Mali, Niger, Ghana, Gambia, Ethiopia and Somalia, mostly prefer to come to Turkey instead of other countries. 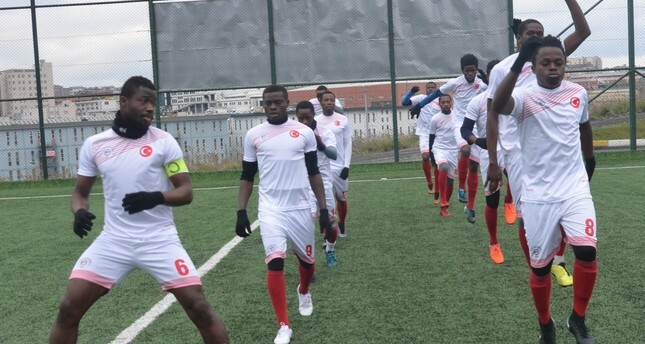 Interest in foreign players has led to more African players joining clubs in Turkey in recent years and this trend has been increasing every year. Most African players find success in secondary or amateur leagues before moving on to other countries.